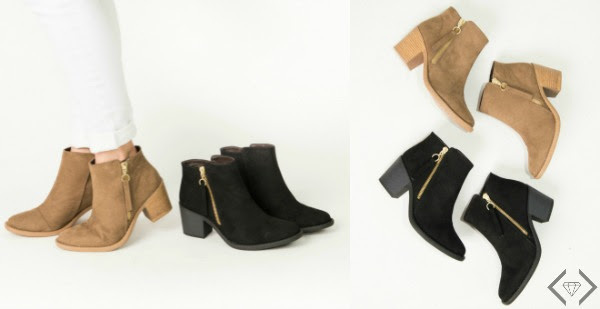 We are in love with booties and the great thing about the trend this year is that ankle boot season is officially extended! That's right, they aren't just for Fall and Winter any more. You will see ankle boots being worn well into the Spring and Summer, especially going along with the bohemian trend. 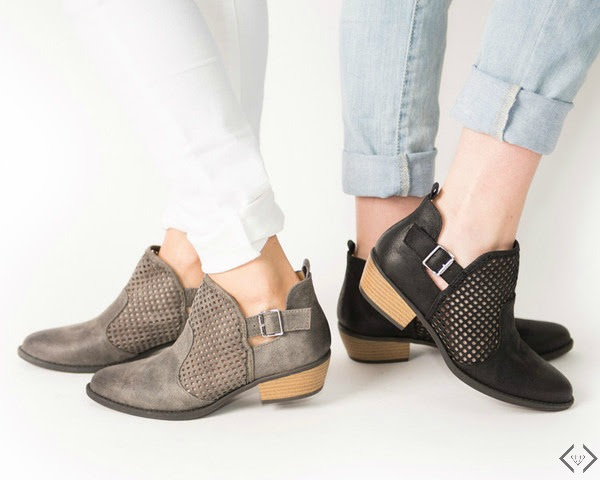 Style Steals - 3/23/16 - Spring Booties $10 OFF the LOWEST price (starting at $14.95) & FREE SHIPPING w/code SPRINGBOOT. Keep an eye out for the Tobin for $32.95, Diet for $29.95, & Ryder-17 for $14.95. Suede, fringe, cutouts, and booties are trends that are carrying through summer this year! These booties are perfect to wear with everything from your favorite jeans, shorts, or skirt. This season they are completely versatile and such a fun, on trend touch for any outfit.